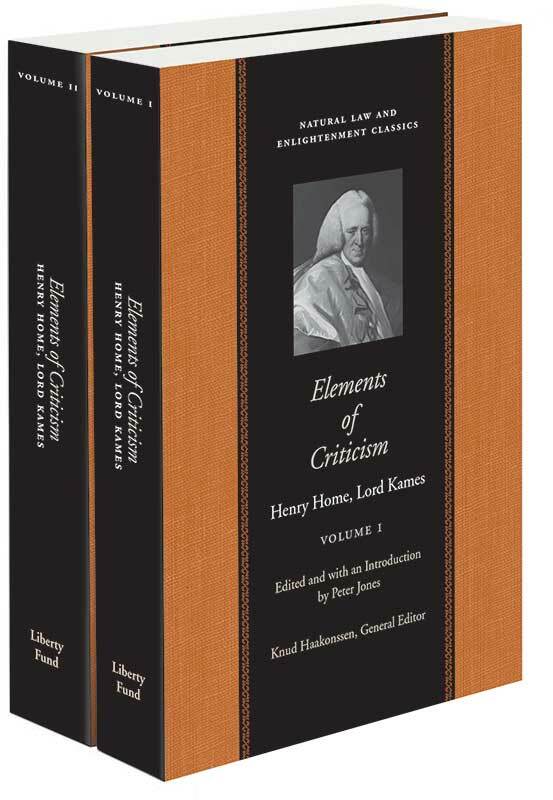 A two volume work on the “science of criticism” by one of the leading figures of the Scottish Enlightenment. Kames argues that criticism of art and literature is a rational science as well as a matter of taste. In volume 1 he explores the nature and causes of the emotions and passions. In volume 2 he explores the principles of rhetoric and literary appreciation, and discusses the formation of our standards of taste.